Have you considered just replacing the Dell's battery? This will either fix the lack of charge issue or help you isolate the physical issue. 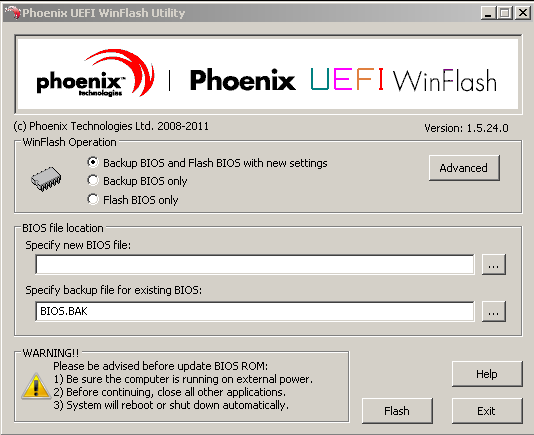 A BIOS update is very unlikely to resolve this issue. Also, you really just just use the Dell update utility, downloaded from Dell, and not muck around with work-a-rounds. Question HELP: Asus Zephyrus GM501GM "The system cannot find any bootable devices"
Question Help! Why is my Laptop getting low FPS when playing games? Question Gigabyte Aero 14 stuck in Aptio Setup Utility Loop. Help!